England invented cricket and the first Test was played in 1877 between England and Australia. For many years there were just two or three countries that played Tests and England was quite a force. Then along came the West Indies in 1928, 51 years later, and what happens in the coming decades? England starts getting a real beating. The West Indies, the new kid on the block, was hammering the daylights out of the veterans. Australia took over from the West Indies to mete out the same treatment to England, and with it the rest of the world. Cricket, since it has become more than a four-nation global sport, has had two teams ruling the sport. The true champions of the world—the West Indies and Australia. England started struggling the moment there was increased competition. It was still a country that loved its cricket and had the best infrastructure in the world for it, but it somehow has not been able to produce a champion team. Here is a shocking fact about ICC or world titles, essentially the winners of the World Cup and the Champions trophy for 50 overs cricket and the World T20 for the 20 overs format. Australia leads the charts with seven world titles. The West Indies has five. Sri Lanka, an island nation with simple infrastructure for cricket, has two, plus one shared Champions Trophy title with India. Pakistan, with zero infrastructure for cricket and now hardly any international cricket at home, has three. India has also done well with world titles; three plus one shared with Sri Lanka. England? Just one! Yes, one. That was the World T20 title in May 2010 in the West Indies. There were at least five non-English players in the eleven that won the final, including [South Africa-born] Kevin Pietersen. When I say non-English, I mean players who were born and played most of their cricket outside England. That was why the journalist was reluctant to take pride in the win as a truly English one. Despite such a poor record, England still continues to command respect for its cricket and its ways, maybe because it is so sophisticated and pristine. The cricketing landscape, I mean. Also, the media coverage of its cricket is highly impressive. 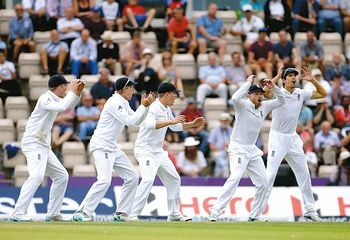 England may not have the best cricket team, but it has the best commentary on its cricket. So why has England underachieved so much? The main reason is that it has not really acknowledged that it has underachieved. So, what hope is there? The English are also the ultimate ‘geeks’ of the game (when I say geeks, I mean people in sport who tend to complicate sport). They have not quite learnt the lessons from their own cricketing greats like Ian Botham, that to really excel at sport you have to simplify it. But the ‘geeks’ are currently consumed by some more bizarre thinking and tactics, though they are winning a few games, like in Sri Lanka recently. They have concluded that this win came because of some brave selections and tactics. No guys, you won because Sri Lanka is a bad team now, and India beats it regularly without breaking a sweat. England are supposed to be hot favourites to win the 2019 World Cup, to be played at home. I am not so sure. For, to be a champion, you have to think like a champion.